It’s Goundhog Day, and I feel like I may be in a movie. Anyone remember the movie with Bill Murray? Does anyone remember back in March 2000 – when the tech market was booming and the NASDAQ was over 5,000? People were launching companies and tech IPOs were hot? Then again, in 2007, when the NASDAQ peaked again at 2,861? I feel like we may be there again. Hopefully with not the same results. The NASDAQ is creeping closer to its high every passing trading week, and the news is all the same – this tech company is going public, that company is going public. Facebook is going to be the biggest IPO in a decade! Who cares is Groupon can’t account for their money, they are tech, and we love them! 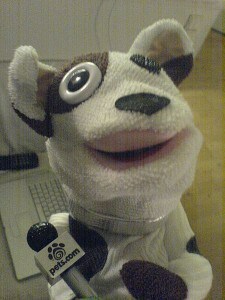 Does anyone remember Pets.com – one of the shortest lived tech companies? It went from an IPO on the NASDAQ to liquidation is a mere 268 days! Are we on the same track? Is Groupon going to go bust this year? Let’s look at some of the conditions out there that may have us hitting the repeat button? So, out of all the 100 companies in the composite index, these 10 companies actually account for 35.3% of the shares. Very disproportionate. What does that mean? It means that as the NASDAQ goes towards its old high, it is really being driven by these 10 companies, not the entire technology sector. So, is Groupon going to do any damage? No…but it could be the canary in the mine. Bottom line is that the tech sector is starting to look a little bit like it was in each bubble it has had over the last 15 years, so it may be time to be a little cautious when investing in tech. Is the economy going to come crashing down soon? I doubt it. But we could see some pull backs in many of these companies. Readers, what are your thoughts on how hot tech is right now? I was blown away to see the Nasdaq just hit 11 year highs. Crazy – didn’t think I’d see the day, especially after that “lost decade”! I agree – but where is the market going from here?